Learn Sheffield introduced an Equalities page within the partnership section of the website earlier this year. It provides a home for key documents and resources which support the equality agenda. It currently includes policy documents and information about the Equality Act, making adjustments for disabled pupils, religious festivals and prejudice related incidents. 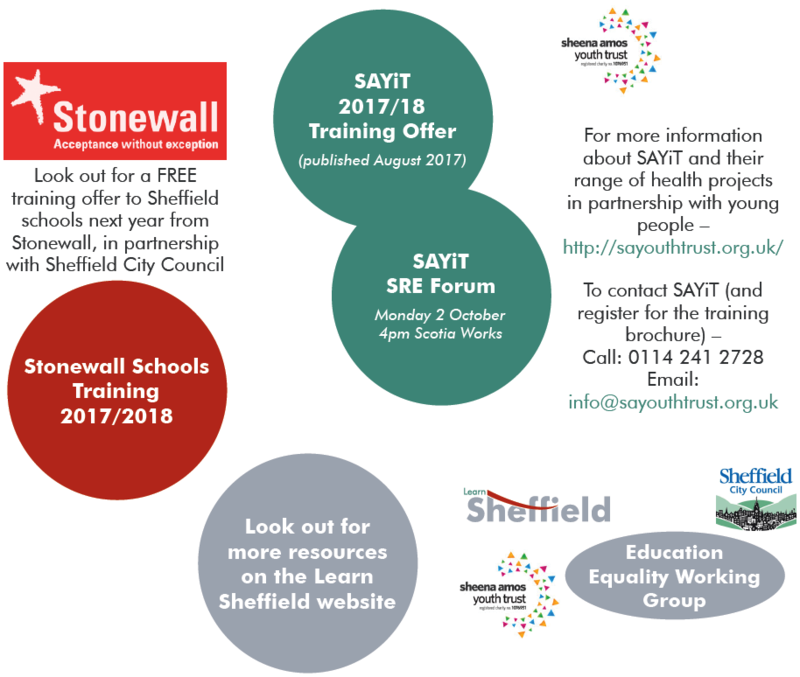 A working group has been formed to bring together colleagues from Learn Sheffield, Sheffield City Council and others, including the Sheena Amos Youth Trust (SAYiT) and Stonewall, to consider the offer to schools in relation to equalities education. Look out for training opportunities and more in the 2017/18 school year. Schools and education authorities have had a duty to provide reasonable adjustments for disabled pupils since 2002 (originally under the Disability Discrimination Act 1995 (the DDA) and, from October 2010, under the Equality Act 2010. This guide will help school leaders and education authorities understand and comply with the reasonable adjustments duty. It will also help disabled pupils and their parents understand the duty. The reasonable adjustments duty for schools and education authorities now includes a duty to provide auxiliary aids and services for disabled pupils. The duty to provide auxiliary aids also applies in other contexts such as employment, service provision and further and higher education. This guide will help to explain how the requirement to include auxiliary aids and services in the reasonable adjustments duty will work in schools and education authorities. The focus of this guide is on the practical implementation of the reasonable adjustments duty in schools. 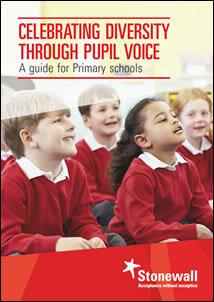 It includes case studies showing how the duty can be applied in contexts which will be familiar to teachers. The guide also gives answers to frequently asked questions about the reasonable adjustments duty. Parents see bullying as a key concern about their children’s safety and wellbeing and it is a high concern for children and young people. Bullying and prejudice-based incidents are a key concern around a child’s safety and wellbeing. 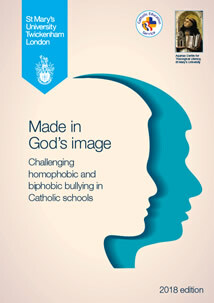 The Anti Bullying Alliance has produced a briefing on Bullying and the Law for schools. 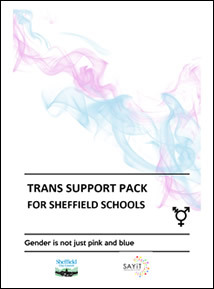 Guidance has been produced on the recording and reporting of bullying and prejudice related incidents for Sheffield schools which is found Here. Community Cohesion is about recognising, supporting and valuing diversity. It is about creating an environment where there is mutual respect and appreciation of the similarities and differences that make people unique. 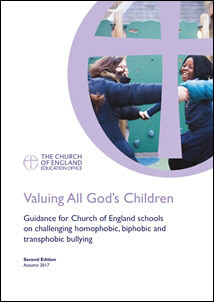 Guidance has been produced for schools which can be downloaded HERE. The Equality Act 2010 has simplified anti-discrimination laws by having a single Equality Act. This makes it easier for people to understand and comply with the law. The Equality Act covers nine protected characteristics, which cannot be used as a reason to treat people unfairly. Every person has one or more of the protected characteristics, so the Equality Act protects everyone against unfair treatment. The Equality Act makes it unlawful to treat someone differently, by direct or indirect discrimination, harassment, and victimisation and by failing to make a reasonable adjustment for a disabled person. Schools, colleges and other state-funded educational settings (including academies) are bound by the Public Sector Equality Duty (PSED). To publish information which demonstrates their compliance with the duty to have due regard for the three aims of the general duty. To prepare and publish specific and measurable objectives which they will pursue over the coming years to achieve the three aims. The first specific duty placed a requirement on schools to publish information from April 2012 and annually thereafter. The second specific duty placed a requirement on schools to set objectives by 6April 2012 and no more than four years later. We have produced a MODEL POLICY for schools to adapt for their own use. The emphasis of the PSED is on transparency and making information available so that the local community can see how, and through which key objectives, the school is advancing equality. We are proud that Sheffield is in the top ten LAs in the country in the Stonewall Education Equality Index for 2016, as it has been consistently. We’re delighted to launch the 2017/18 edition of Starting Out, the national careers guide for lesbian, gay, bi and trans (LGBT) students, graduates and jobseekers. The guide features tips for finding an inclusive employer, insights into different sectors and stories of inspirational LGBT role models in the workplace. It also contains listings of Stonewall’s Diversity Champions – employers who have committed to making their workplaces more LGBT inclusive. In-depth profiles of all Diversity Champions are available on the Starting Out website. Please do feel free to share this guide with secondary schools, colleges, libraries and the careers’ service in your area. 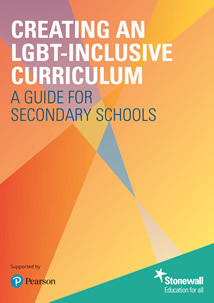 It is an invaluable resource for students, sending a strong message that they will be supported in their future workplace, regardless of their sexual orientation and gender identity. 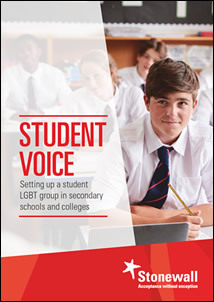 As a Stonewall Education Champion, your work in supporting schools to tackle homophobia, biphobia and transphobia is vital to ensuring that all students can learn in a safe and welcoming environment. We hope that Starting Out helps demonstrate to students that employers value diversity and challenge homophobia, biphobia and transphobia. It shows students that the values taught in school reflect those expected of them when they enter the world of work. Stonewall have produced some resources for Primary and Secondary Schools for Anti-Bullying Week 2017. For primary schools, they have developed a lesson plan based on the book 'Are you a boy or are you a girl?' For secondary schools an assembly has been created which schools can use or adapt.